Worried that the economy might put a crimp in your travel plans next year? Never fear: travel doesn’t have to break the bank. Your currency may be depressed, but that doesn’t mean you have to be; there are still many destinations around the world that can be enjoyed on the cheap. If you let the global economic ups-and-downs work to your advantage, adopt some personal austerity measures in pricier destinations, and head towards up-and-coming destinations, you can stay on the road longer for less. Fresh from Lonely Planet’s Best in Travel 2011 (published in November 2010) we bring you this bargainous bounty of 10 budget-friendly destinations where you can get the most bang for your buck. This subcontinental treat might just be the cheapest place on earth to travel. Bangladesh offers marvellous meals for under US$1, a mid-range hotel room for less than 10 times that. This means that anyone who isn’t a masochist goes up a price bracket or two. You’ll pay a little more to get around the Sunderbans National Park on a tiger-spotting tour – US$150 or thereabouts – but it’s still peanuts, even compared to what you pay next door in India. Bangladesh is almost disgracefully under-visited. Here, paddleboat is one of the main forms of transport and you can trek, canoe and even surf to your heart’s content with some of the world’s friendliest people for company. The Rocket is Bangladesh’s most famous ferry, running daily between the capital Dhaka and Khulna. First-class river cruising for 27 hours will cost US$15. As other Central American destinations inflate prices with an influx of travellers, there are still a few good value delights to be found in the region. Nicaragua is somewhere where the careful traveller can get by spending US$15 a day, and midrange comforts can be had for less than double that amount. 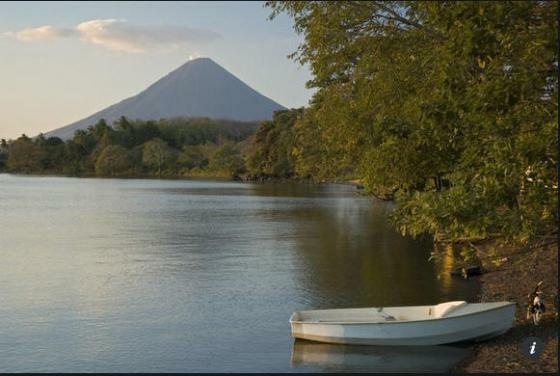 What you get for your money is nothing short of spectacular: hammock-hanging opportunities on the mythically unspoilt Corn Islands, bar-hopping and live music in colonial León and Granada, and volcano trekking on the Isla de Ometepe. Paying departure tax when flying out of Nicaragua may be the single most expensive thing you do at US$32, and this is usually already included in the price of your ticket. Lincoln Memorial: free. National Air and Space Museum: free. Capitol: free. Library of Congress: free. White House and State Department: tough to get in, but free. Get the picture? Washington is a city packed with iconic things to do and very few of them ask for an entry fee. If you’re happy to walk and bring your own lunch bag, you can absorb centuries of American history, politics and culture without having to so much as touch a dollar bill all day. DC’s Kenilworth Park and Aquatic Gardens is the only national park in the USA devoted to water plants. It’s free. The French capital is never going to win any awards for cheapness, but here’s a winning formula that anyone can afford. First, you need a Swiss Army knife. Then stroll into a boulangerie – every neighbourhood has several – and buy a freshly baked baguette for €1 (US$1.35) or thereabouts. Follow your nose to your next stop, a fromagerie, and grab a fist-sized hunk of cheese. Lastly, grab a bottle of wine, nothing fancy, and head for the banks of the Seine opposite Notre Dame or the garden adjacent to Pont Neuf on a sunny day, preferably with a friend or loved one. Zut alors – a Parisian dining experience for under €10 (US$13.50) per person that any local would declare formidable! You’ll find everything for a picnic on Rue Montorgueil in the 2nd arrondissement. Botswana wants big spenders only and South Africa’s not the deal it once was, so southern Africa bargain hunters should head for Namibia. Well set-up for backpackers, this is still a territory of US$50 or less a day if you’re careful, with an excellent network of local minibuses and tours aimed at budget travellers to go to places public transport won’t. And if you go up a price bracket you’ll eat and sleep well in excellent-value midrange options that bring South Africans flocking over the border year after year. Admission to the Cape Cross Seal Reserve on the Skeleton Coast costs a mere US$3 per person. The Philippines may be just about to rudely shove Thailand off the ‘best cheap beaches’ perch it’s occupied for the best part of two decades. While travellers argue long and hard about which is cheaper, there’s no denying Thailand is more popular. For those who desire nothing more than to find great, undiscovered beaches, surf the odd wave and eat unique, distinctive food for under US$20 a day, the Philippines has the edge. Add in the possibility of beach camping along the Zambales Coast or in the Bacuit Archipelago and you’ve got the recipe for timeless island hopping that suits any budget. Ferries link many idyllic destinations in the Philippines. Expect to pay around US$5 for each hour you’re on the water. The Argentine peso is the currency that keeps on giving. In the middle of the last decade, incredulous visitors regularly queried bills for being too cheap after feasting on fine steak and red wine. While not quite the bargain it was during those years, Argentina still offers a terrific deal. Characterful mid-range hotels start at around AR$180 (US$46) per night in Buenos Aires and Patagonia, and half that in other places. Argentina’s gourmet eating houses usually won’t charge more than US$30 a head and you can enjoy wonderful meals on much less. Best of all, you get great quality food, wine, lodging and transport throughout Argentina for your money. Bounce up and down with some of Buenos Aires’ more raucous citizens at a fútbol (soccer) match. Terrace tickets for Boca Juniors, River Plate and others cost from AR$14 (US$3.60). Italy: not cheap. Even a slice of pizza can seem like lousy value if you’ve come from a part of the world that uses a currency that’s slumped against the euro. Thank heavens then for Naples. Here’s one Italian city that prefers food that’s fresh, simple and good value. You can dine brilliantly on the city’s spectacular street food alone. Naples eschews budget-blasting frills in favour of small and simple B&Bs charging around €75 (US$100) per night. Best of all, Naples is a city full of life being lived for its own sake, with few of the tourist hordes who descend on other Italian classics further north. The ferry from Naples to the idyllic island of Capri, one of Italy’s classic journeys, costs a mere €10.50 (US$14) with Caremar. Eastern Europe isn’t the US50c-a-beer haven for bargain hunters it once was, but good deals are still available. OK, mid-range hotels can be pricey, especially in the capital, Kyiv, but good budget options in Lviv and Odesa are available for less than US$50. Once on the ground you’ll find your funds go a long way. Public transport is fantastic value, with a train between Kyiv and the lovely city of Lviv costing less than US$10, and a tram ride from the station into town a hundredth of that. If you know where to look, food, beer and coffee can be really very cheap. One of Ukraine’s top sights is the immense and moving Lychakiv Cemetery in Lviv; it includes the final resting place of national poet Ivan Franko and thousands of dramatic tombstones. You get hours of fascinating wandering for less than US$1. While some neighbouring countries up the entry costs to ancient sites, Syria remains an excellent-value place to travel. As you might expect, there are superb street shwarma (sandwiches), felafel and eye-tightening qahwa (coffee) available for small change. A ride between Aleppo and Damascus won’t touch US$5, and a daily budget of US$50 will get you well into the mid-range bracket. Best of all, the delights of the Old City of Damascus and the souq at Aleppo are free. If you get locked into a tussle with a carpet merchant in the latter, though, you’re on your own.